Description: Supermans are a great exercise for targeting your lower back, abs and gluteus maximus. And after all, who doesn't want to be a super hero? 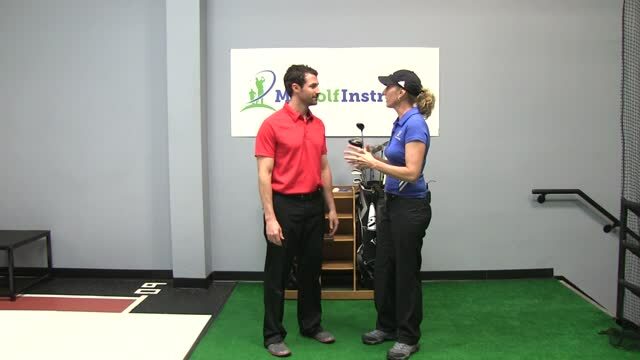 For your golf swing this will help build strength and stability as well as help protect your lower back from injury; something all golfer's need to do. Start off by laying face down with your arms and legs fully stretched out. Is important to keep your head in a neutral position throughout the exercise. Next, raise your arms and legs off of the floor like you are flying like superman. Keep your arms and legs straight, but not tense. Don't forget to breath throughout the exercise. Start off by holding for 5 seconds before you relax back down. Try doing 3 sets of 8-10 repetitions holding for 5 seconds each. Eventually you should progress to the point where you can hold for up to 30 seconds. A nice variation of the Superman is to raise the opposite arm and leg. If doing this variation be sure to do 8-10 repetitions with each side and as you get stronger each week increase the amount of repetitions.